Children will expand their critical thinking skills through questioning and participating in discussion. Students will gain a better understanding of sharing and giving of themselves  selflessness. They will learn that all people are special because of individual differences  multicultural awareness. Each student will achieve a better sense of self  individuality and self-esteem. The class will reflect the lesson of respect and sharing through post-reading activity and their interactions with one another inside and outside of the classroom  conflict resolution. It is essential for students to think critically. It allows for a wide range of possibilities and a better understanding of different perspectives. A foundation of acceptance and respect for all people will contribute to a more peaceful and harmonious classroom, school, and society. Pre-traced leaves, scissors, crayons, sparkle glue, magic markers, stickers, round mirror, stickers, chalk board, chalk, The First Forest book, and a partially pre-made, teacher-constructed, over-sized book cover using oak tag and brown, yellow, and green construction paper mounted on the trunk of a prefabricated, bare, full-sized gold tree. The book cover opens to reveal a mirror which will reflect each child when he or she is invited by the teacher to look behind the cover. If classroom setting is appropriate, have children sit in a big circle on the floor. Have a short discussion on various differences and similarities among people. Briefly touch on the 3 basic needs to survive (food, clothing, shelter). Ask students questions about what they and others have in common with each other and what is unique to each. Explain that our uniqueness and diversity make the world so wonderful. Adaptation: for children with attention difficulties, it is important to walk near them while reading  sometimes lightly touch them on the shoulder. It will help them focus on the story. 1. Hand out leaves. Children will have a few minutes to cut out and decorate their own special leaf. Have children write or print name on leaf with marker and then go over with glitter glue, thus involving all children in a hands-on exercise using fine motor skills. Each leaf will represent the child who created it. Leaves will be collected before story begins. 2. Lead children in predictions relating to the cover of The First Forest: What do you think the story is about (from looking at the cover illustrations)? Students will be motivated to begin story to find out answers to their questions. 3. Scenario Question - What would you do? How would you feel if an older, bigger student cut in line in the cafeteria and then took your lunch? This will enable the children to better understand and identify one of the concepts expressed in the story and to understand the underlying moral. The discussion is intended to start the thought process and to help the children examine their feelings prior to the reading. 4. Read story. Throughout the story, questions will be asked which tie in with the introductory discussion on differences, similarities, and basic needs, as well as the behavioral objectives involved in sharing and respect for others. Some questions may elicit responses to how we and others feel when we encounter greed and selfishness. Example: When certain trees started pushing and shoving to get all the sunshine in order to be the biggest in the forest, the smaller trees were getting pushed aside. Can someone tell me what the trees need to live and grow? Were the bigger trees kind, sharing the beautiful sunshine, or were they selfish and greedy, stealing it from the others? After story is read, ask questions: Can you tell me one thing about The First Forest? Try to get all children involved, keeping questions open-ended and easy to answer. Always give positive feedback to all students who participate. This will encourage risk-taking in the future and will stimulate thinking skills. If there are no volunteers, use guided questions such as: What type of trees were in The First Forest? Children will share: multi-colored, tall, short, wide, skinny? What do trees need to grow? What do people need? 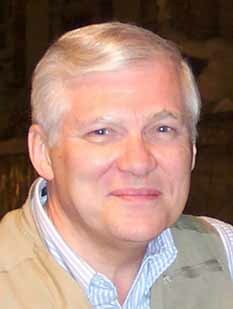 Ask questions that will promote expressions of individual feelings toward greed and selfishness. Encourage children to share their feelings with one another. Only children who volunteer will be called on. Don't put children on the spot. Some children are not comfortable sharing in a large group. Why did the trees steal the sunshine? What happened as a result? How did the tree maker feel? How do you feel about it? Tie it in with opening question: How would you feel if someone cut in line in front of you at lunch or took your lunch? What do you think happens when people get greedy? Which trees shared the sunshine with the other trees? How did the tree maker reward them? What do you think happens when people share? How do you feel when someone shares with you? Again, positive feedback is important. Hand back their decorated leaves  one row at a time. Then invite each student to place his or her leaf on the special First Forest tree. Having the children create something beautiful and share it by placing it on the bare tree reinforces the giving of ourselves in our individual uniqueness concept we are teaching. Everyone in this class has created this unique tree by making and sharing very special leaves for it to wear. Everyone in this class has shared his or her special talents and uniqueness to create an image of sharing for everyone in the world to see in this glorious tree. When you love and share with one another, magical things happen. Tell the children, Close your eyes and count to five. This gets them curious and excited about what may happen next. Each child will then be invited to approach the tree to see that he or she has become a part of it. Open the paper door to reveal the reflection of each child. 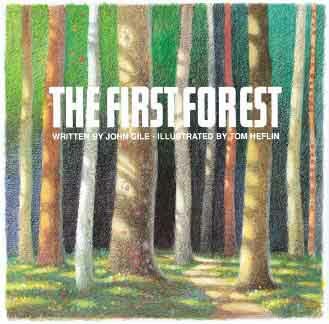 Finish the lesson with the children listening to the musical version of The First Forest with the author reading and the story retold in song to reinforce the lessons already discussed. Perform a skit or play or pantomime using the story and/or musical cassette version as the base, while the children act out the concepts depicted in the song. Some can portray various trees, others the tree maker, the sun etc. If you would like to share your classroom ideas with other teachers, you may send them by mail to Classroom Projects, Box 2321, Loves Park, IL 61131-2321 or by e-mail care of www.jgcunited.com. Watch for more ideas and and classroom projects added periodically at www.jgcunited.com.  Listen to the wisdom of the children . . .
 Click here to visit the author's website  www.johngile.com.